Free monthly Senior lunches, a program new to Yarmouth, will start on Wednesday, September 12th, at the Sacred Heart Church Hall in Yarmouth, Maine. New and “seasoned” caregivers are welcome to attend these free sessions. The End of Alzheimer’s: Prevent and Reverse Cognitive Decline. The latest Together With Alzheimer’s calendar is now available, offering a number of helpful presentations. The group is increasing in size, but still has space for a few new members. Please contact Catherine with any questions. Yarmouth Cares About Neighbors supports the “Aging In Place” initiative in Yarmouth, led by Leigh Kirchner with support from a large group of volunteers. 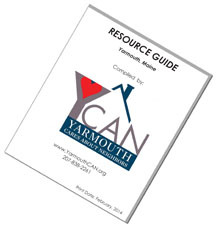 They received a block grant to conduct a survey of needs in Yarmouth, and used the survey results to develop a preliminary plan for services that was recently presented to our Town Council. The following meeting calendar for a local Alzheimer’s support group is an example of a service that is becoming increasingly needed in our community as more and more of us are helping to care for an aging friend or relative. are welcome to these free sessions. Speaker, J. Walton has been rescheduled for Nov 15.